You want to pray, but you’re not sure how to pray for your pastor. I’ve listed below 10 prayer requests that can help you start praying for him. Insight into scripture and an understanding of how it applies to people today. Protection from the work of Satan. Help him keep a soft heart in the face of abrasive and abusive people. A successful ministry – however God defines success in his life. Boldness to speak the truth, and grace to speak it with humility. That he would persevere through whatever trial he is facing. His children – that they will grow up with a positive impression of church ministry. That he would remain pure, and that his love for his wife would increase daily. That you would know how to encourage him today. P - Purity. Pray that your pastor will remain pure in the face of constant pressure in an immoral culture. A - Adversity. Pray for your pastor that he will be able to confront adversity with faith and endurance. S - Strength. Most pastors work long hours and at least six days a week. Pray that he will have the strength to continue his ministry. T - Teaching. Pray for your pastor that his teaching and preaching will be effective, powerful, and clear. O - Organization. Your pastor has more to do than any one person can handle. Pray for your pastor that he will be able to prioritize correctly. R - Rest. Your pastor needs rest. Pray that your pastor will sleep well each night and that he will take enough time away from ministry so that he does not get worn out. Sometimes those of us who love our pastors tend to forget a pastor is just another person. Many people get annoyed at the idea of calling their pastor "just another man" and get turned off to anything else you say after that. But the truth of it is pastors are very much humans who are in need of prayer like the rest of us. In my estimation pastors are more in need of prayer than their congregations simply because they are pastors. So I put together this free eBook on how to pray for your pastor daily. There’s no catch, no email list to subscribe to. You can download it to read on several devices ﻿at this link﻿. I hope these few ideas help. Use them daily. Share them with others in your church. So that together you will learn how to pray for your pastor. 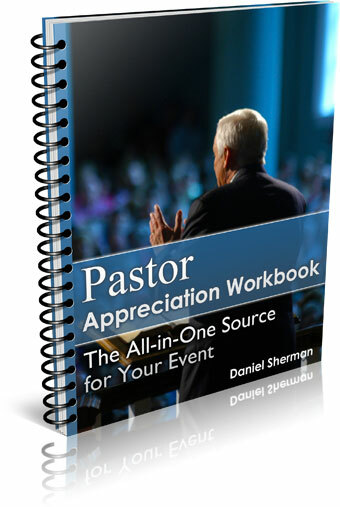 Now that you know how to pray for your pastor, try these 52 ways to encourage your pastor!